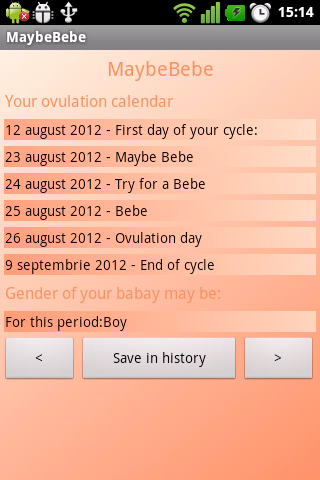 MaybeBebe helps you predict your most fertile time of the month (ovulation) so that you can achieve pregnancy. 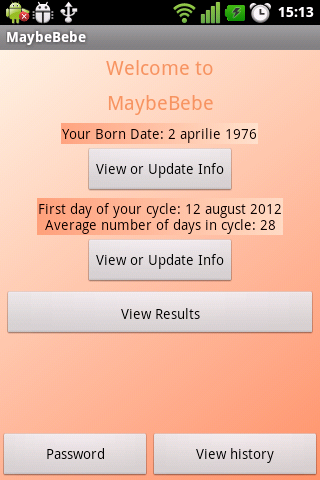 MaybeBebe is a tool for keep track of your period, ovulation, fertility and predict gender of your baby. It is a simple application for that days. Baby Gender Prediction use Chinese Gender Chart, method that claim to have 90% successful rate. In order to work correct this include and conversion method from western to chinese calendar. 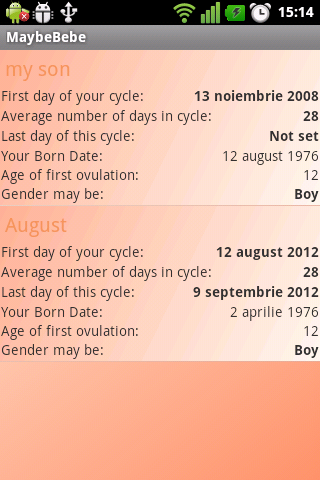 One limitation it is the starting age for this chart witch is 18. This application have a small correction that will help you to obtain the correct result. 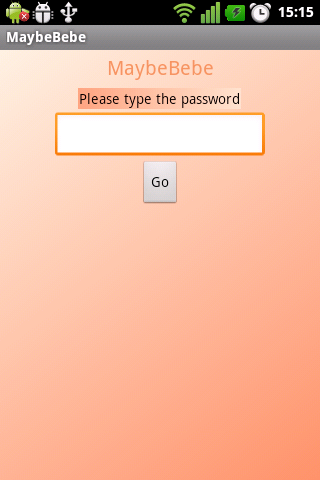 Lock the access to application with a simple password. 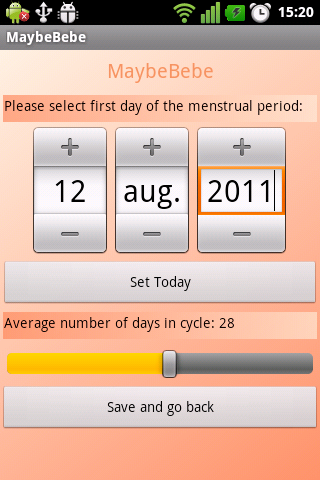 Keep the track of your period in history. Super easy to use. No useless function and extension.